December 2, 1980. 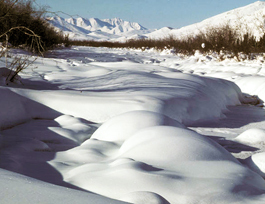 The segment from its source, including all headwaters and one unnamed tributary in T13S, within the boundaries of the Arctic National Wildlife Refuge. Wild — 140.0 miles; Total — 140.0 miles. Beginning in the Philip Smith Mountains, this river offers a wide variety of vegetation, scenery and wildlife characteristic of a boreal forest on the south slope of the refuge. A small river with little human use, its remoteness provides for excellent populations of wildlife including moose, caribou, Dall sheep and grizzly bear.